The Bernardo de Gálvez Chapter #1 was started to celebrate and remember our patriots and their contributions to the American Revolution. Our patriots lineage can be traced to our membership with pride. We have 70 active members, with several membership applications pending. Of those members, we have 9 officers. Along with the membership, we represent 52 patriots that fought or assisted in the fight to win this great country her independence. This patriot list includes 6 submitted as supplement applications to the SAR. The Bernardo de Gálvez Chapter is also a community contributor, assisting the local community with educational functions, participation in parades and events as representatives of SAR, as well as conducting ceremonies and presentations on current veterans issues and events. The Chapter also recognizes and reciprocates with The George Washington Chapter, DAR, Galveston, all able to trace lineage as Daughters of the American Revolution. 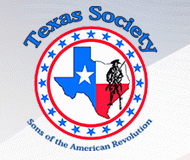 The Bernardo de Galvez Chapter of the Sons of the American Revolution meets the third Saturday of every month. Guests are welcome. Please join us. Contact us here for more information.